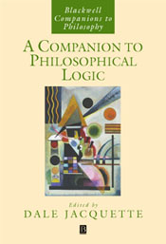 This collection of newly commissioned essays by international contributors offers a representative overview of the most important developments in contemporary philosophical logic. Presents controversies in philosophical implications and applications of formal symbolic logic. Surveys major trends and offers original insights.